N.K. 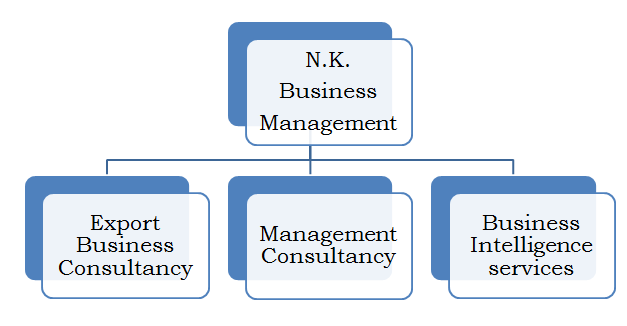 Business management is the prominent & vital wing of the N.K. World which has unique identity with the better technology and achievements. We at N.K. Business Management believe in Excellence and hence we come up with the marvelous range of services and ideas which makes a difference in your business world. We at N.K. Business management have the team of top class young entrepreneurs who are always ready to take a lead and make business profitable in the critical situations as well. We had designed some unique way in the development of business of exports which will help an entrepreneur to develop business in more better way. •	RCMC registration with different govt. bodies like., EEPC, APEDA, Spice board. For any export related queries, you can be in touch with our experts and you can put your efforts aside. We at N.K. Export business consultancy have a team of young entrepreneurs who can take a lead in your business world and who are committed towards remarkable growth of the business in the industry.